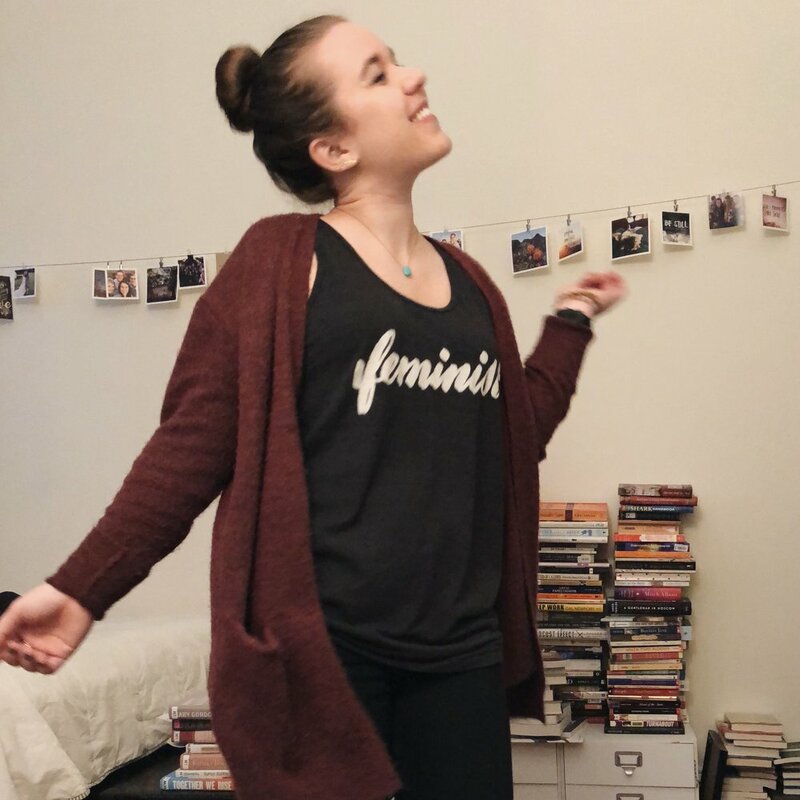 It’s International Women's Day and I’ve got my "feminist" shirt on, loud and proud. Because here’s the thing about women: We are heart, we are soul. We are grit and grace, tough and tender (words from Brene Brown). We are beautiful and brave and beloved, fierce and fabulous, sensitive and strong, empathetic and energetic. We are using our voices, we are shining our lights, we are creating all kinds of new life in all sorts of literal and creative and wonderful ways. We are climbing ladders and shattering ceilings and making art and blazing new trails. We are saying #metoo and we are marching and we are voting and we are also doing the daily little things nobody notices. We have sparked a reckoning, and we aren’t finished yet. We are Kingdom builders and culture shifters and life makers. We are wild and free, stepping more and more into the fullness of our freedom as daughters of our King, and it’s starting a wildfire all around us. Because women? Women are world changers. And I’m damn proud to be a woman working hard to change my little corner of the world. What Being a Woman Should Mean // "I don’t know how to scream it loud enough that we are allowed to be here too, that we need to be here too, that we have so much to offer here too." What Christian Women Should Teach Girls About True Womanhood // "The Lord’s ways are not the world’s ways. What it means to be a woman is about so much more than the world tells us, and as a woman, I’m grateful Jesus offers me a life that is so much more abundant and free (John 10:10) than anything society could give me." Women as Pastors: Our Writers Weigh In // "Maybe we should let women do as much in the church today as the women of the Bible did."